Let's forget about "good" writers today - I want you to think about successful writers. Do you know what they tend to have in common? They're strong marketers. Being a solid writer simply isn't enough. Remember, freelance writing is a business - treat it like one, and you'll improve your chances of reaching whatever goals you set for yourself. Unfortunately, sometimes even the best writers are awful at marketing their freelance writing services. The quality of your work matters very little if no one sees it! Rather than tell you what you should be doing to market your services effectively, today we're going to discuss the three most common marketing mistakes I see freelance writers make. 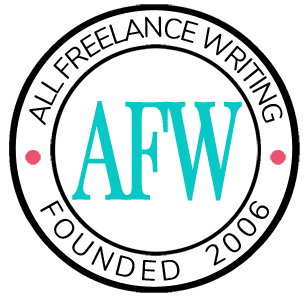 What other mistakes you commonly see in freelance writing? They Don't Market Their Work at All!- It's hard to believe, but I still come across people who can't bring themselves to do any real marketing of their services. They treat writing solely as a job as opposed to a business, so rather than trying to attract clients, all they're willing to do is respond to them. They look for public job ads. They may occasionally apply. That's it. No professional website. No really active networking going on. No authority-building. Nothing. Nada. Zip. These are also usually the writers complaining the loudest about the decreasing quality of freelance writing jobs being advertised. They Market Freelance Writing Services Solely on Price - I'm not even going to begin to get into why you shouldn't do this. But anyone with an ounce of marketing sense would slap you silly if they caught you trying. Just don't. Take my word for it. No? Then read this. They Don't Have a Portfolio - Look... in this day and age it's enough of a sin that so many freelance writers still don't have their own website (especially when they happen to be Web writers). What's even worse though is not having a portfolio. There is no good reason for you to not have one. I don't care if you're brand spankin' new and haven't got a single paid gig under your belt. You can still put together a professional portfolio. (I even showed you how.). Again, this is something you just need to do - if you haven't, get to it already! If you do have a website, better yet, put some portfolio pieces up there publicly (just be careful not to post something you don't have the rights to display anymore without a client's permission). Make it as easy as possible for prospective clients to find you and see if your style fits their needs. Excellent post, Jenn. I admit, I am just starting to up my marketing efforts. In the past, I was guilty of just applying to public ads as well. It didn’t pan out so well, I can tell you that much! I set up a profile on LinkedIn and have gotten one client from there. I’ve been getting some referrals from past clients. I also had my virtual assistant come up with a list of 100 businesses in the area that I can pitch my services to. My site is being redone and should be done in about 10 days – as soon as it is, I will be pitching away on a daily basis. Great post! Really! I have done these mistakes myself and you made me aware of them. I don’t find social networking (as in social networks themselves) to be terribly effective when compared with other marketing and networking models. At the same time other social media tools (such as blogs and forums) have been extremely effective in bringing in new clients. I would suggest not “marketing like crazy” with any one particular tool or tactic. You really need to diversify a bit more. Post to forums. Post to your blog. Keep commenting on others’ blogs. Join email groups or other networking opportunities with colleagues. Try article marketing (but only to targeted outlets – none of that article directory garbage). Reach out to past clients with a service pitch, special offer, or something else – remind them you exist. Cold pitch a few websites, companies, or publications. Pick several tactics – they each fill in voids left by the others. I market like crazy online with social networking sites, but I don’t see a good return on it. It’s…small. I just started going to bi-weekly networking meetings that has pumped up my sales, but I still want more. How can I get more out of marketing? Thanks for the great tips! I am still relatively new to freelance writing (about 10 months now) and I am slowly learning about marketing.